← Have You Found Your Place? Quote by RUMI, born 1207 in Afghanistan, whose family fled the threat of the Mongol armies and emigrated to Turkey between 1215 and 1220. The relevance of artistic expression in today’s world is seldom more explicitly displayed than in this recent installation by the most prominent of Chinese dissident artists, Al Weiwei, on the pillars of the Konzerthaus Concert Hall in Berlin. 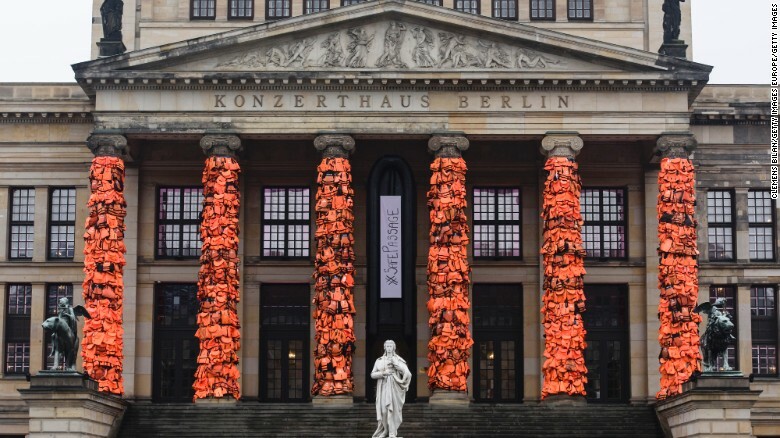 This artist has wrapped 14,000 life jackets around the pillars of this landmark building to bring attention to the urgency of the tide of refugees arriving on the shores of European nations and around the world. These particular life jackets were worn by migrants who braved the seas in flight from the Island of Lesbos in Greece. 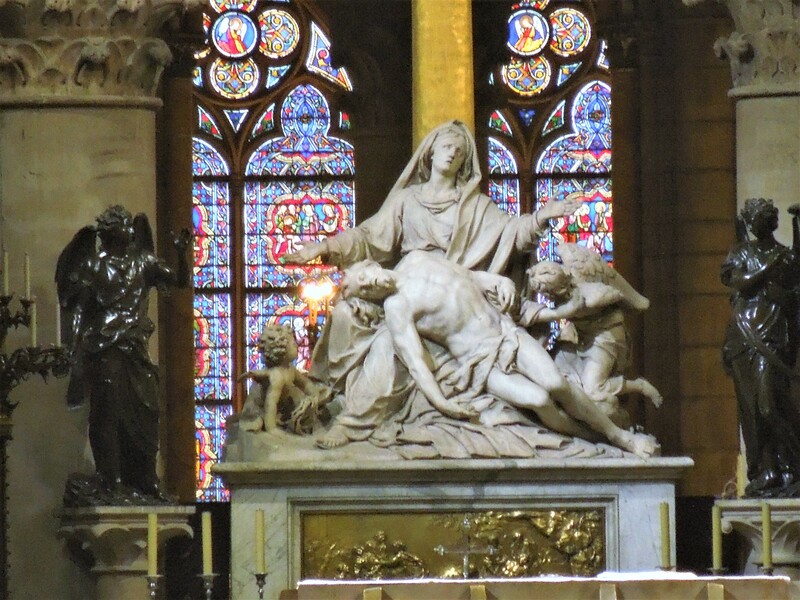 With thanks to this artist and others who feel the pain and misery of the refugee population, who at this very moment are enduring all manner of human suffering in their attempt to simply find a better life for their children, I humbly and simply post this blog. This entry was posted in art, being a human being, relevance of art, Uncategorized and tagged Art, Berlin, Chinese dissident artist Al Weiwei, freedom, refugees. Bookmark the permalink. Very powerful! Thank you for posting this.